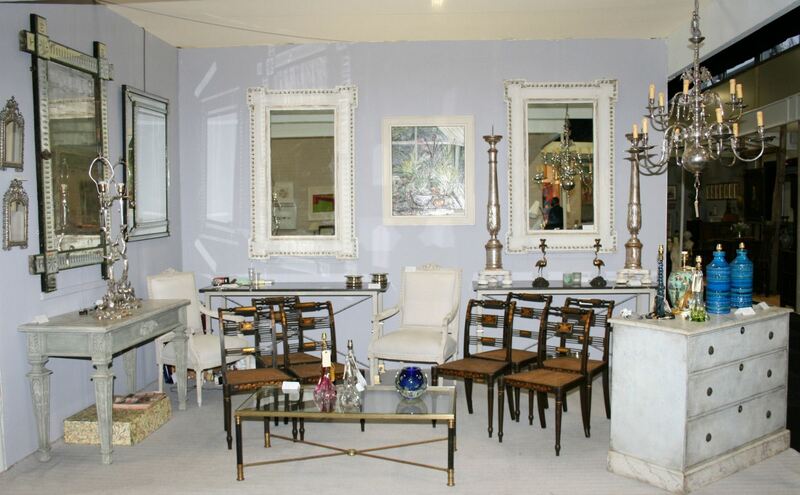 Callie Hollenden | Interior Boutiques – Antiques for sale and mid century modern furniture, french furniture, antique lighting, retro furniture and danish furniture. Condition Report : Excellent overall condition, with slight tarnishing showing age.. 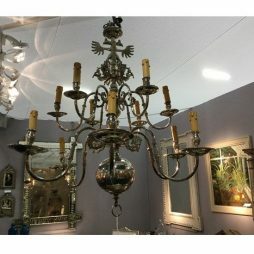 This is a very fine Northern European 12 arm silver plated chandelier, from the early 1900's. It depicts the emblem of the Czars – a double headed eagle- at the top, and each arma is suspended by trumpet player. 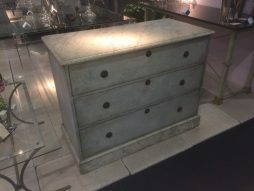 Condition Report : These have a shabby, but very chic look, having been re-painted at some point in their lives, but the paint has worn away. 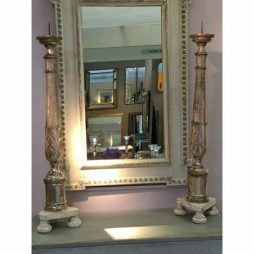 These are an exceptionally stunning pair of mirrors, which would originally been part of Regency panelling in a grand room. 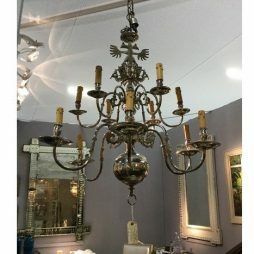 They have been repainted at some point, but this has worn away,giving them a mellow shabby chic look with the gilding still through. Condition Report : Very good overall condition, later re-painted. 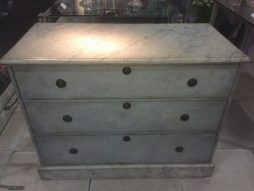 Gorgeous 3 – Drawer Painted Commode in Blue/Grey finish with marbelised top and base. 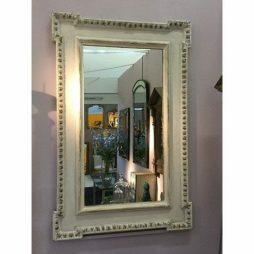 Excellent proportions and a very easy piece to place within any interior.